All units have easy, drive-up access with wide aisles for trucks and trailers. Our facility is fenced, gated, and fully lighted. Electronic gate code access and video surveillance cameras for added security. Located near the Tyler Municipal Airport, two miles from West Loop 323, and three miles east of Loop 49 in Tyler, Texas. Close proximity to Canton, Athens, Chandler, New Harmony, and Tyler, Texas. East Texas Storage Center is locally owned and operated, with onsite management present during office hours. 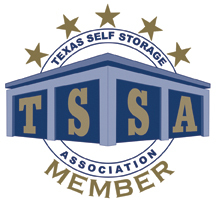 East Texas Storage is independently owned and operated. We offer self storage buildings, covered RV and boat bays, plus enclosed auto and boat storage in Tyler, Texas.